In 1991 Carlos Reutemenn was elected governor of the Santa Fe region in Argentina. Though his racing career was far from bad, his political career was arguably even more impressive. 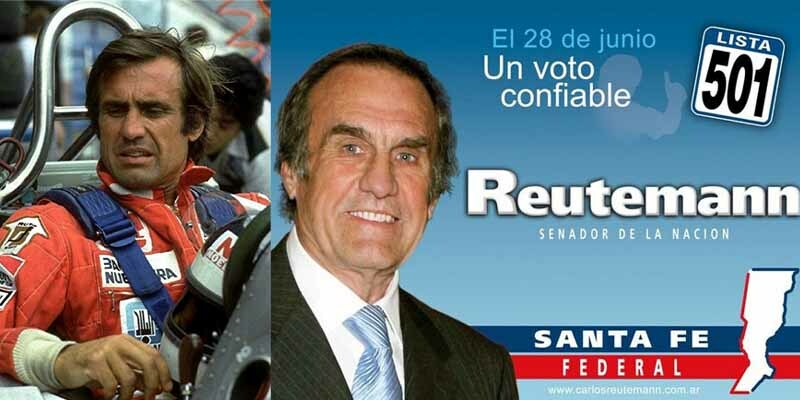 After being elected twice as governor between 1991 and 2003, and the resignation of Fernando de la Rúa in 2001, Reutemann was approached several times to run for president, although to the disappointment of many Argentines, he declined each time. He did, however, run in the 2003 general election and won a seat in the national senate.